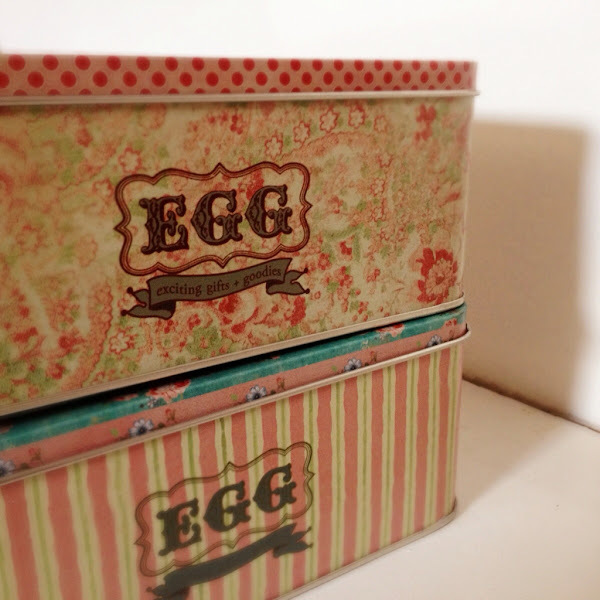 I am loving Egg/Regalong Pambahay's ongoing promo: for an accumulated purchase of Php2000, you get a pretty tin can in a shabby chic design. They give you a sticker card when you purchase an item. A Php400 purchase gets you a sticker. Collect five stickers and you get a tin can. Collect 10 stickers for a watch. I think 15 stickers get you an umbrella, but I'm not sure. We did some of our Christmas shopping at the Regalong Pambahay outlet store, so I was able to collect 10 stickers. Of course I chose two tin cans instead of the watch. There are two designs to choose from, so I got them both. 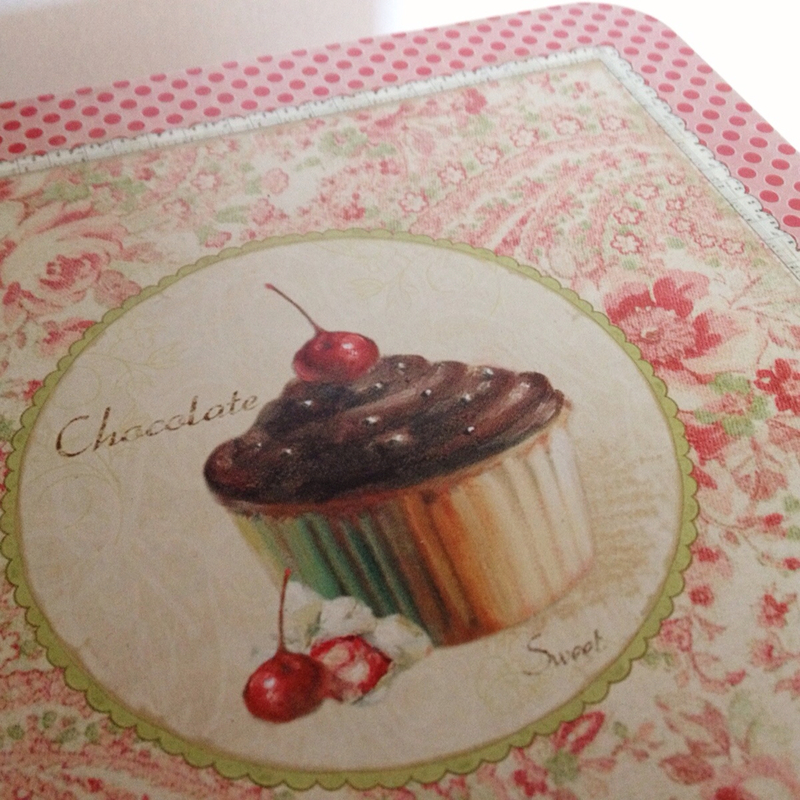 I'll never get tired of cupcakes. 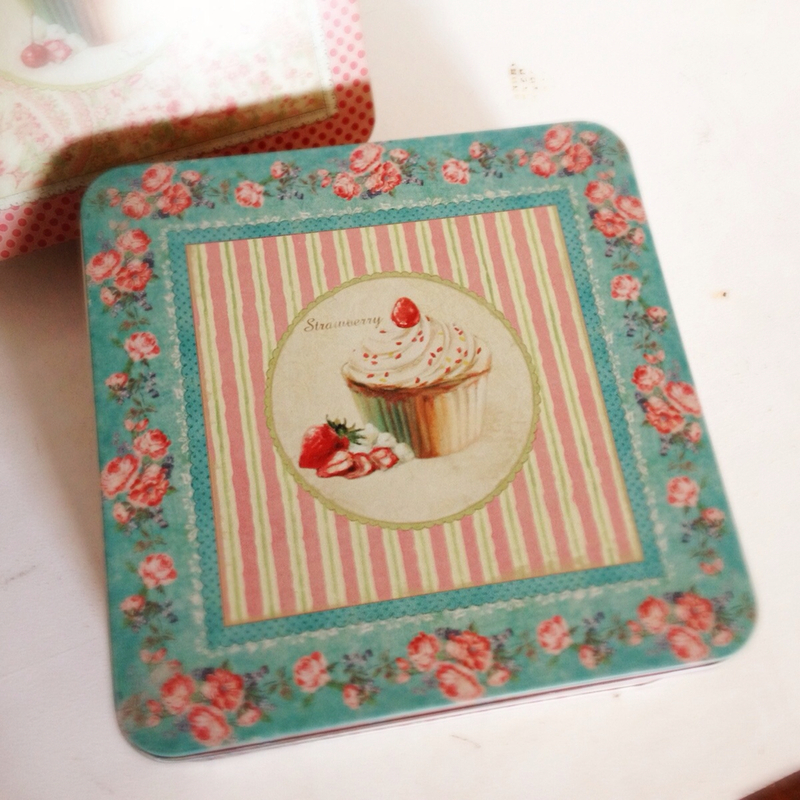 I love my cupcake tin boxes! So adorable! Eeeeeek!